Since 2007, with generous support from the D.C. Bar Foundation’s Access to Justice Grants Program, Legal Aid and Bread for the City have been operating the Court-Based Legal Service Project in the Landlord and Tenant Branch of D.C. Superior Court. Through an office sited in the Court and staffed jointly by Legal Aid and Bread, we provide same-day and extended representation to low-income tenants defending against eviction cases. The partners launching the Project worked cooperatively with the Court to establish the first limited practice rule in D.C. Superior Court. Since 2007, project attorneys have been able to provide much-needed same-day legal services to thousands of individuals and families facing eviction from their homes. 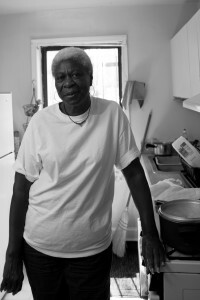 In 2015, with a generous grant from the D.C. Bar Foundation, Legal Aid partnered with Bread for the City and Legal Counsel for the Elderly to launch the Housing Right to Counsel Project. The D.C. Bar Pro Bono Center also is a partner on this Project. Through pro bono partnerships with law firms and government attorneys, the Project aims to expand access to counsel dramatically for tenants in subsidized housing facing eviction. The guiding hand of counsel is particularly important in these cases, where eviction also can result in the loss of an invaluable housing subsidy, too often leading to a spiral into homelessness and hopelessness. Through a combination of intensive pre-court outreach and intake and in-court representation and assistance, the Project is designed to make contact with as many tenants in subsidized housing facing eviction as possible and to offer a guarantee of representation. Legal Aid has been staffing the Domestic Violence Intake Center in Southeast D.C. for more than seven years. Our attorneys currently staff the office four days a week. By locating in Southeast, DC, we are able to provide clients with better access to our services. Project attorneys meet with survivors of domestic violence for initial interviews, help clients secure Civil Protection Orders through legal representation or advice, and provide referrals for other services. In 2012, Legal Aid began a new domestic violence project to address the gap in domestic violence services in the District. With generous funding from the D.C. Bar Foundation, we were able to hire additional new domestic violence/family law attorneys in order to expand our domestic violence work. Our attorneys now staff the Northwest Domestic Violence Intake Center at the courthouse and provide outreach and services to underserved communities in the District. Modeled after the successful Landlord Tenant Court-Based Legal Services Project, this project was established in 2011 and is also operated jointly with Bread for the City. Also funded through a grant from the D.C. Bar Foundation, Legal Aid attorneys staff the Child Support Resource Center at the Child Support and Paternity Branch of D.C. Superior Court and provide same-day legal services to custodial and non-custodial parents, helping them navigate the daunting child support system. In November 2012, a Skadden Fellow joined our Consumer Law Unit to help address abusive debt collection practices through the provision of same-day, in-court representation to low-income D.C. residents. Although the fellowship has since concluded, Legal Aid continued the project which has helped hundreds of low-income consumers in debt collection cases in Small Claims Court, where a staggering 95% of defendants are unrepresented. In September 2014, an Equal Justice Works Fellow joined our Consumer Law Unit to represent low-income homeowners facing foreclosure. The project began shortly after D.C. Superior Court implemented a special calendar and procedures for judicial foreclosure cases, offering distressed homeowners the chance to participate in early mediation with their lenders and discuss the possibility of loan modifications and other alternatives to foreclosure at the outset of each case. The project aims to help low-income homeowners save their homes through direct legal representation, systemic advocacy, and outreach—including a regular presence in court during the call of the weekly judicial foreclosure calendar. In 2006, Legal Aid established an office in Anacostia with funding from the D.C. Bar Foundation. Every year, the Southeast Neighborhood Access Project serves hundreds of persons living in poverty who would not otherwise have access to legal services due to disability, financial hardship, or lack of transportation. We have found that locating our lawyers in areas of highly-concentrated poverty (namely Wards 7 and 8) has proven to be among the most effective ways to raise awareness, increase access to much-needed legal services, and reduce the geographic barrier for those in greatest need. Since 2015, Legal Aid’s Reentry Justice Project has been dedicated to assisting clients facing barriers in accessing housing, employment, and other civil rights and opportunities as a result of having a criminal record. Individuals who have interacted with police and the criminal judicial system—disproportionately people of color and people who live in areas of concentrated poverty—find themselves facing a multitude of collateral civil consequences that act in real and concrete ways to perpetuate generational cycles of poverty. The Project seeks to eliminate those barriers through direct representation and systemic advocacy. We provide representation to clients in areas including criminal record sealing, housing and employment denials based on criminal history, and challenges to other collateral consequences arising within our civil legal practice areas. We also advocate for policy changes before the D.C. Council, administrative agencies, and other legislative and regulatory bodies. In April 2018, with a generous seed grant from the Venable Foundation, Legal Aid established this Project to provide advice, representation, and brief services in immigration matters as well as holistic services across all of Legal Aid’s practice areas to D.C.’s immigrant client community. The Project also coordinates know-your-rights trainings and provides family and emergency preparedness information as well as other self-help materials. In an effort to tailor services to our immigrant community where many of our Spanish-speaking clients live, work, and attend school, Legal Aid is partnering with Carlos Rosario International Public Charter School, a nationally recognized, award-winning school that provides adult education, literacy, and other services to the immigrant client community and speakers of other languages. Legal Aid conducts initial interviews in dedicated office space at the school once a week during the school year. In 2018, Legal Aid expanded its existing affordable housing work and formally established its Affordable Housing Preservation Project. The Project aims to prevent the displacement of incumbent DC residents due to rising housing costs and unsafe or uninhabitable housing conditions. 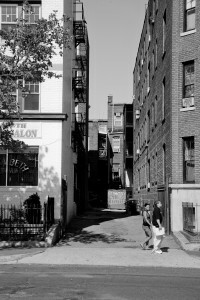 Through the Project, Legal Aid provides representation to tenants and tenant associations in a range of matters, including: fighting unlawful or unreasonable rent increases, combating abusive tactics designed to strip tenants of their rights under the Tenant Opportunity to Purchase Act, enforcing tenants’ rights to building-wide improvements, and helping tenants obtain repairs in their individual units. We combine these efforts with systemic advocacy and targeted eviction defense in an effort to ensure that long-term DC residents are able to remain in their neighborhoods of choice.